We’re a week and a half away from Easter Sunday. How’s your Lent going? You could do that. 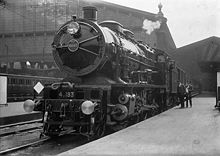 Or, you could use this an an opportunity to get the steam engine rolling at full speed and end this Lent with a spectacular finish by pulling into the station with renewed fervor and rejuvenated love for our Lord. Here are five ways that you can put more coal in the engine of you Lent. 1. Instead of dropping resolutions with which you haven’t been successful, scale them down or alter them. Did you resolve to get back to daily Mass? Choose two days to go this week instead. 2. Don’t beat yourself up over it. Tell Jesus how sorry you are to have let go of your resolutions, and ask for his forgiveness and grace to get back on the tracks. 3. Don’t love to do more, do more with love. So you flopped this Lent. Rather than letting that defeat you or dumping a new set of resolutions on your exhausted head, let it push you forward to do every little thing with the utmost love and offer it to the Suffering Christ. 4. Try something completely new. That seems to contradict the first three items, but it doesn’t. If you’ve chosen things that are way beyond your stamina (at least at this point in your life), then let go of them. For these last Lenten days, choose to do something really meaningful – maybe like getting up 15 minutes early each day to say the Stations of the Cross – and then stick to it with all your might. Christ has not resigned himself to the tombs that we have created with our choices of evil and death, with our mistakes, with our sins. He does not resign himself to this! He invites us, he almost commands us, to come out of the tombs in which our sins have buried us. He insistently calls us out of the darkness of the prison in which we have shut ourselves, contenting ourselves with a false, egoistic and mediocre life. We may have allowed our Lent to slip into mediocrity, but it’s not too late to “come our of the tombs” of our laxity, fickleness, and weakness. The less-than-successful weeks of Lent that are past need not hold us prisoner. If we let him, our Lord will call us out of the darkness so that we’ll face Easter morning not with guilt over failure, but with rejoicing over victory.